The largest and most populous city in New Zealand, Auckland combines a rich history and thriving contemporary culture in an abundance of museums, art galleries, and performance venues. You've now added Auckland City Tours to your itinerary. Kick off your visit on the 22nd (Mon): go sightseeing with Auckland City Tours, then brush up on your military savvy at Auckland Museum, then contemplate the geological forces at Mount Eden, and finally pause for some serene contemplation at St. Patrick's Cathedral. 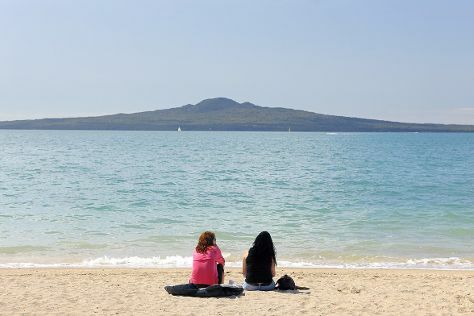 Keep things going the next day: tour the pleasant surroundings at Auckland Zoo, steep yourself in history at Howick Historical Village, and then take a stroll through Parnell. To find maps, more things to do, and more tourist information, refer to the Auckland Central road trip tool . If you are flying in from Germany, the closest major airports are Auckland International Airport and Hamilton International Airport. In October, plan for daily highs up to 17°C, and evening lows to 16°C. Wrap up your sightseeing on the 23rd (Tue) to allow time to travel back home.